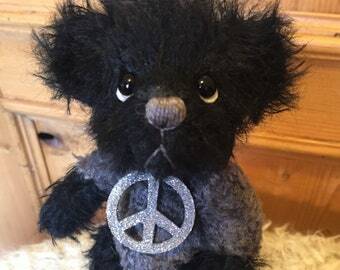 Announcement Jazzbears are Handmade Teddy Bears -- Artist Designed & Meticulously Crafted. Thank you for visiting our etsy shop. 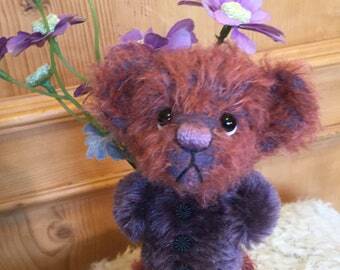 Jazzbears are Handmade Teddy Bears -- Artist Designed & Meticulously Crafted. Thank you for visiting our etsy shop. Fred and Virginia thank you for visiting! Jazzbears have been sold in the U.S. and Europe for the past 20+ years. Created from original designs by Virginia Jasmer, our customers have called Jazzbears whimsical, endearing, lovable and creative! 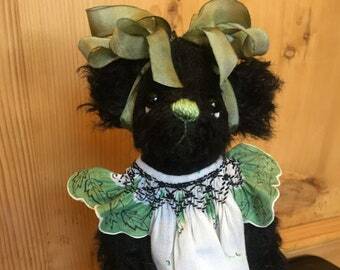 Virginia will tell you that the idea for her signature "Flower Bears" evolved from seeing children in school plays, the ones who couldn't necessarily sing or dance, cast as flowers or trees. She created her Flower Bear line to celebrate these background players. Flowers from anemones to zinnias have been created -- many collectors have more than one, and some have complete gardens that bring pleasure every day. Many sizes and styles are available individually crafted from the finest European mohair, alpaca, or plush fiber. 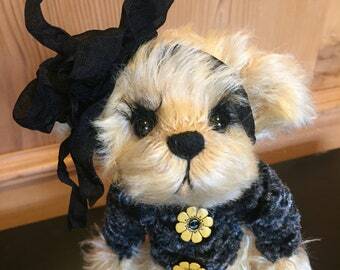 Virginia has also created custom real fur bears crafted from collector's vintage fur coats. All bears and bunnies are fully jointed and have hand blown glass eyes. All are jointed with metal parts, and weighted with copper shot for structure so that they will be able to stand by themselves, and feel substantial when held. The finest ribbons, vintage laces, and florist quality silk flowers are used to adorn each unique piece. Jazzbears are created with love and attention to details. We hope collectors will select the bear or bunny that will bring them pleasure, a smile, or a chuckle everyday. for more information on Jazzbears! 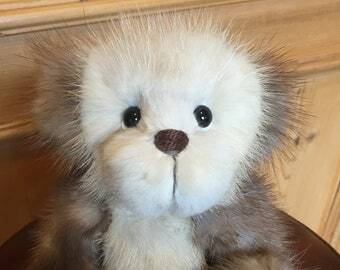 Jazzbears has been in business for sixteen years providing collectors with unique creations throughout the US and Europe. We strive for a pleasant continuing relationship with our collectors as the artistry evolves.